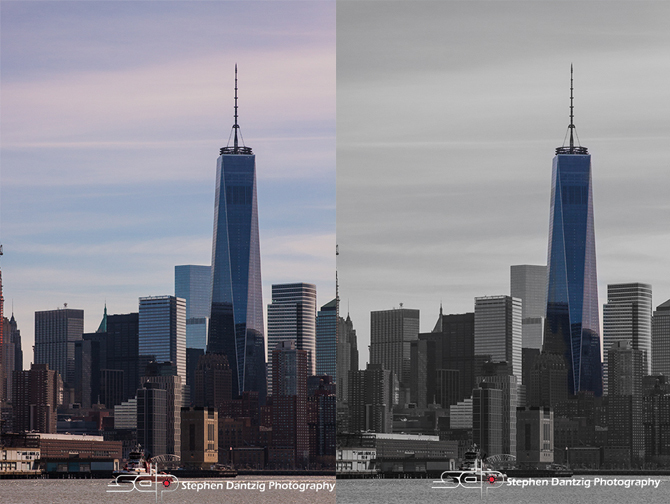 The 4-hour Introduction to Lightroom and Photoshop class is a jammed packed workshop that will teach you how to navigate around the overwhelming Lightroom and Photoshop interfaces. 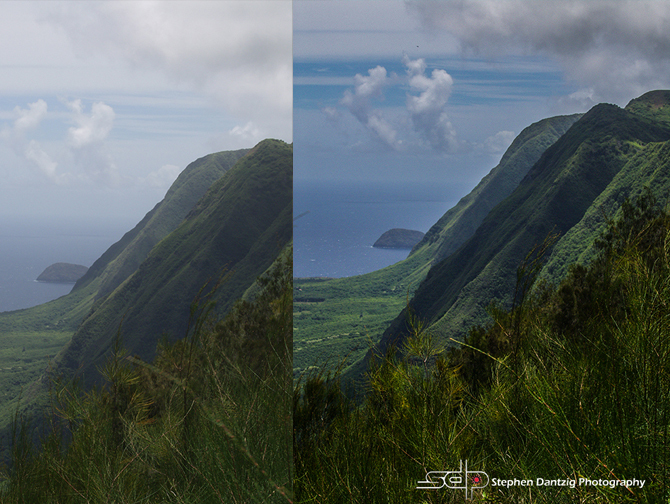 You will learn the critical tools and filters for basic retouching and work with layer masks and adjustment layers. 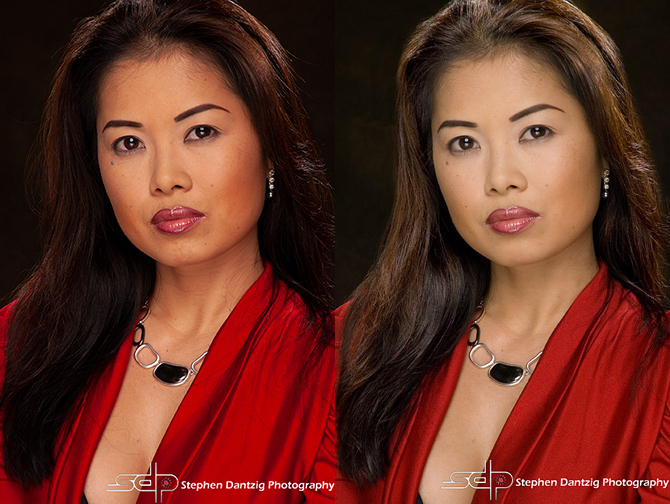 Introduction to Lightroom and Photoshop Image Enhancement (Retouching) FOUR hour class! Classes are held every two months. NOTE: This class is extremely small–Only 2 students per class. 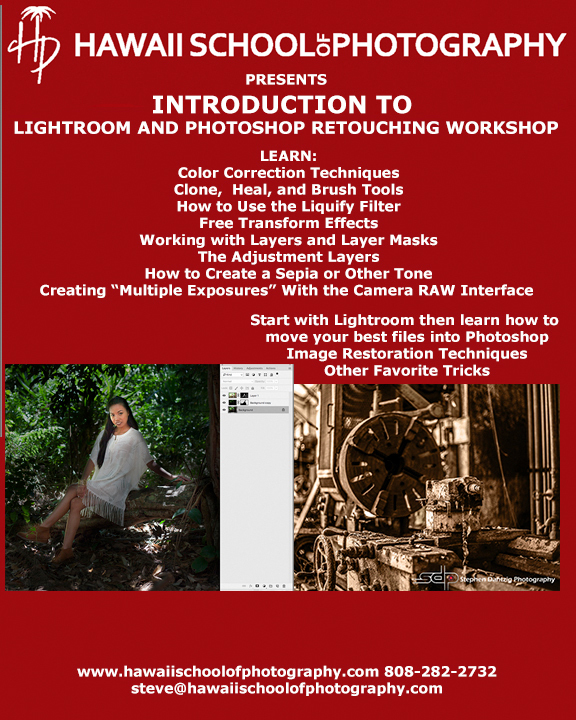 This class is held in my office (also my living room) in Waikiki so I can show you the tools and techniques on my larger desktop computer while you follow along on your laptop. Parking, is, unfortunately, “Waikiki ‘catch-as-catch-can. '” This class is NOT held downtown! Please click here to check our calendar for dates, availability and to register online. Tuition: $165.00 plus 4.712% GET (12% Kama’aina/Military and 17% Alumni discounts are available for this class).